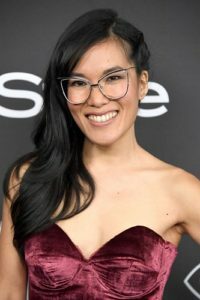 Ali Wong is a stand-up comedian, writer, and actress. Her breakout Netflix special “Baby Cobra” premiered Mother’s Day weekend 2016 to critical acclaim. Since then she has thrown out the first pitch at a Giants game and appeared on Ellen. In 2017, she became the very first artist to sell out 8 shows at the SF Masonic Theater. She is voicing the co-lead and executive producing the upcoming Netflix animation show, “Tuca and Bertie” alongside Tiffany Haddish. This summer Ali is starring in a Netflix movie that she co-wrote with her long time friend and creative collaborator Randall Park. Her debut book for Random House will come out in 2019.